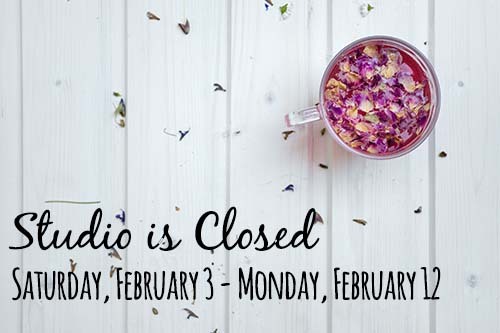 The studio will be closed from Saturday, February 3 – Monday, February 12. I will be going in for surgery (to have a lump removed from my breast) and will be recovering during this time. I’m already looking forward to getting back in to the studio and begin releasing more courses, workshops and new pieces for Spring! Classes and workshops will resume on Tuesday, February 13.